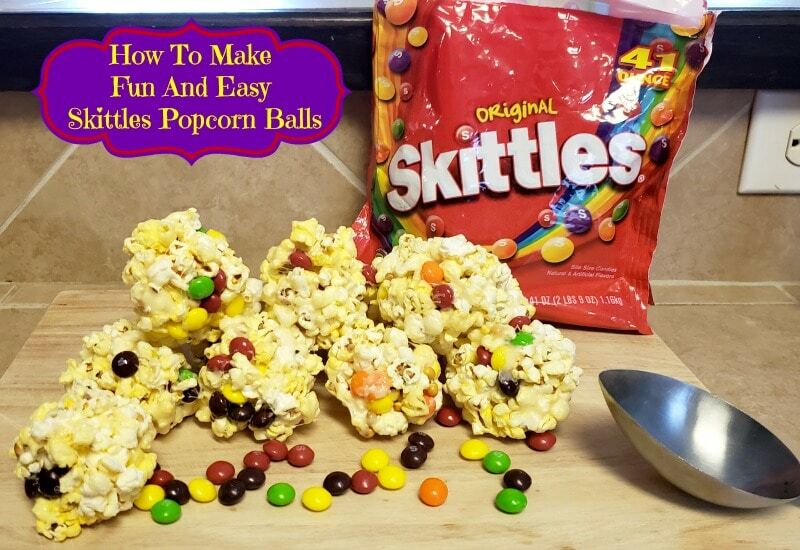 How To Make Fun And Easy Skittles Popcorn Balls. 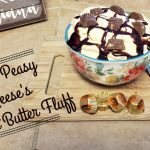 Are you looking for a fun way to use some of that leftover Halloween candy or create a great rainbow themed snack? Well, I have just the project for you. 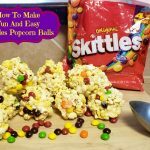 You and your kiddos are going to love how easy these Skittles popcorn balls are to make together. We love popcorn balls around our house and they are so easy to make! I have several go-to recipes for popcorn balls, but this one is, by far, our favorite; mostly because it’s easy. We also love marshmallows, so that doesn’t hurt. These are very similar to Rice Krispies treats. This is such a versitile recipe and can be used with any candy. We have used M&M’s in the past and they turned out great! 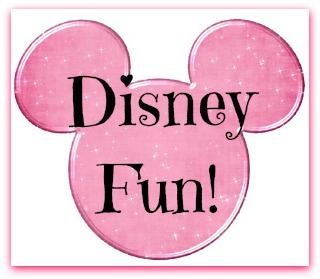 So, get creative and have fun. Make this recipe your own. Get your whole family involved and get going! Melt the butter over medium low heat in a non-stick pan. Add the marshmallows to the butter mixture and stir constantly until melted. In a large mixing bowl, pour marshmallow mixture over popcorn and begin to combine with a wooden spoon. Quickly add Skittles to the mixture and combine well. Spray your hands with non-stick cooking spray and form the mixture into 4-inch balls. Set aside for about an hour then enjoy!